Somewhere between scrolling through Facebook, checking the weather forecast, browsing recipes, and soaking in the latest celebrity gossip I realized that I was pointlessly wasting my phone data and missing out on glorious vitamin D as I waited in the car while Aaron ran into 392 Caffe for some breakfast. I decided to take advantage of those few moments of boredom and pick up some litter around the perimeter of the parking lot. We always keep trash bags and gloves in the trunk for moments like this, so I grabbed some supplies and got to cleaning! As I approached the edge of the parking lot it was clear to see that the entire fence line was completely littered with trash. Taco sauce packets, soda cans and bottles, cigarette butts, even a flip flop were filed away, handful by handful, into the bag. Within about 10 minutes I had finished cleaning up the eastern edge of the lot, nearly filling a large trash bag. I looked up to see Aaron returning with our lattes so I tossed the bag into the dumpster in the parking lot (yes, there was a dumpster mere steps away from all this trash), cleaned up with some antibacterial hand wipes, and continued my day as planned. 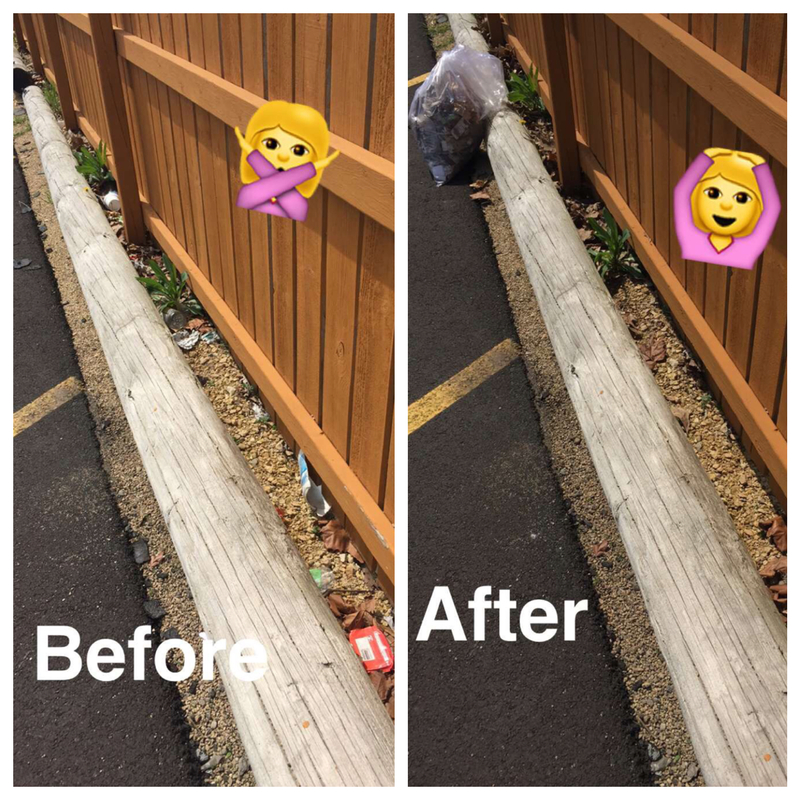 This small effort had no impact on my otherwise busy day, but did wonders for the cleanliness of the community. Based on my observations, litter accumulates quickly. When people see an area with a lot of trash, they almost assume it is okay to litter there or that their piece of garbage won’t make a difference. But it is not okay, and it does make a difference. Each individual piece of trash adds up, and besides just being an eyesore, it is dangerous to wildlife and can have a devastating effect on our environment. Check out this article about the harmful effects of litter to see how it can impact animals and humans alike for generations. The most important thing you can do is to prevent it – don’t litter. Keep an ashtray cup in your car, go out of your way to pick up that Polar Pop cup or fast food bag if it gets carried away with the breeze, and always think before you throw. The planet deserves better, the community deserves better, your family deserves better. Secondly, do something about the current problem! Bring a grocery bag with you when you walk your dog and pick up litter instead of just walking by. Keep trash bags in your car and take a moment to pick up an area if it has a problem – I like to hop out of the car and do a quick litter sweep when I get stuck by a train! Take advantage of those bored moments to do something positive for the environment. If you have an hour or two to dedicate to the cause, join Up to Earth for one of our daily cleanups! We post schedules on our Facebook community page so be sure to “Like” us to stay up-to-date on upcoming events! What kinds of things do you do to keep your environment clean? Please share in the comments section so we can all collaborate on ideas for incorporating community beautification into our daily lives! Thursday, August 6th is Up to Earth’s second group cleanup effort at Joyce Island. The first was a major success even with a modest count of just 10 volunteers. We pulled out 16 bags of trash as well as many other large items, reducing the pollution of our beloved bike path and beautiful Mississippi River. 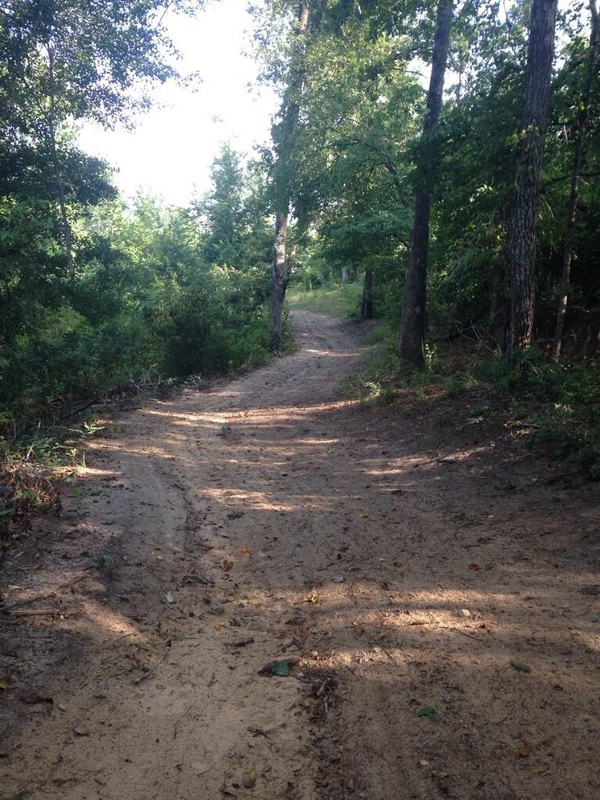 We focused on the entry area of Joyce Island from the bike path, down the rocks, into the woods, and to the riverbanks. This time we work our way farther into the island with the meet up station at the covered pavilion so we will now have a sheltered area to sort out the recyclable items. Stop by between 9:30 am and 7:30 pm for as long as you would like. All supplies including trash bags, gloves, water and lunch will be provided by the hosts from Up to Earth. And since this is a sponsored Living Lands & Waters Great Mississippi River Cleanup event, volunteers will also get a cool t-shirt! Stop by for an hour or 10 with your working shoes and get ready to have fun while beautifying Clinton and helping our environment. If you can’t help out in person this time there are lots of other ways to get involved! 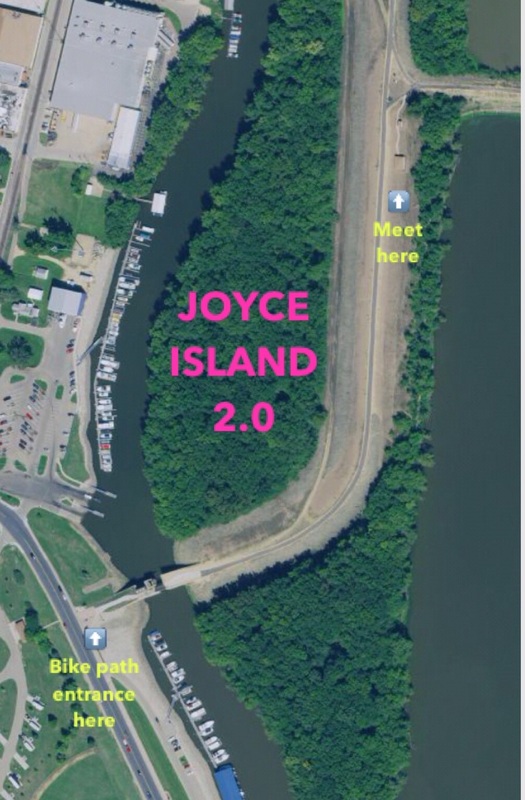 We hope to see lots of smiling, ambitious faces at Joyce Island 2.0 tomorrow! Come by and show your support for the cause and do your part to keep our earth clean and our environment safe and healthy for our families and community!